Famous Geneva landmarks are the Geneva Cathedral, Jet d'Eau (fountain) and the Grand Theatre. Other popular attractions include the Botanical Garden, Jardin des Anglais and the Geneva "Old Town". 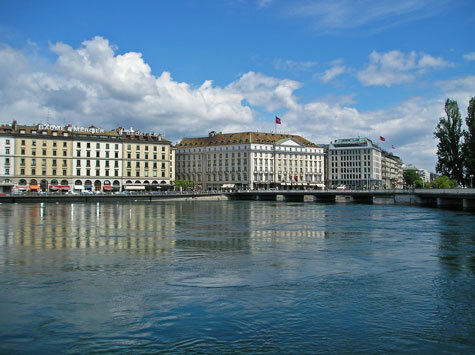 Top museums in Geneva Switzerland (Genève) include the Ariana Museum, Art History Museum and Science Museum. Excellent hotel accommodation can be found in downtown Geneva and near the Geneva International Airport. Geneva Switzerland has an efficient public transit system comprised of trams, buses and ferries.